Asset Plus is synonymous in developing the website for real estate business with its unmatched trulia clone script. Asset Plus is available as an android mobile app and on web as well. Asset Plus has multiple functionalities to assist a business enthusiast to step into the ever-growing real estate business. It is a junction for property buyers, sellers and renters to find their clients easily and in a most economical way. Asset plus is truly remarkable in creating a rich real estate portal with the well-known trulia clone. Asset Plus brings out the best ever portal for real estate business by including the most important and useful tools in a single dashboard. It offers property listing option that helps the user to navigate through a variety of properties available in the database and choose the relevant ones. With such a precise real estate script, users can also narrow down the preferences rather than rummaging through irrelevant information. The users can avail premium membership, do bidding on properties, search and navigate the places in real time with the help of map and mark their previous searches. Asset Plus is a clone of trulia app and an exclusive product of BSEtec. Asset Plus real estate clone script is available in google play store. 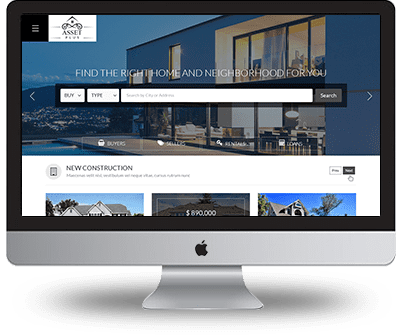 Asset Plus is basically a property listing script written with the best php script that offers various functionalities to the real estate website that is more similar to Trulia App. A free demo is also available on play store and our website which will direct you to understand better about our product. Mortgage calculator, affordability calculator and rent vs. Buy calculator are some of its options which make Asset Plus versatile software compared to any other real estate php script. Asset Plus is a real estate website clone that matches the qualities of Zillow clone script. Asset Plus realtor clone script used to develop real estate portals. It is a secured and reliable php script for creating a real estate portal online. Its hands-on features include property-listing, premium membership, map-based advance search, bid management, search saving option, feature listing, appraisal calculator and so on. While many similar clones lack few of these qualities, Asset Plus ensures to provide a complete package of quality tools as per requirement. Asset Plus real estate php script is the best choice for creating a real estate portal because of its matchless features such as responsive design, extensive search option, map based searching and navigation to locate the place precisely, option for sale or rent of residential as well as commercial properties and best of all, multiple calculators that keeps the user free from depending on manual calculations. Property hunters are looking for an easier way to navigate and select the right property. Surfing through web can be a tedious and time consuming job. This is why Asset Plus has created an all new trulia clone mobile app with all the required features and beyond. Asset Plus app is available in play store and has the potential to assist every user who is either a property seller or buyer. Why Asset Plus is the best property listing script? Asset Plus trulia clone script has been recognized for its cutting edge technology. It serves to be the best script for creating a realtor portal or application. Its multiple benefits such as bid management, map-based advanced search, feature listing and various other options are considered very useful to manage a real estate business with ease which is why Asset Plus is known to be the best property listing script. What does it mean 100% open source code? We offer the script with no encrypted codes. You can buy and edit or modify the script as you need.Open source code is made available with a license in which the copyright holder provides the rights to study, change, and distribute the code to anyone and for any purpose which is that anyone can inspect, modify, and enhance. Is Asset plus a Multi-Lingual Script? Yes, Asset plus it supports Multi-Language. can you provide server hosting? No, but we do recommend cloud servers from Amazon AWS and DigitalOcean. What are the payment gateways integrated at Asset plus? Paypal and Stripe are our default payment gateway, and also you can integrate other gateways as add-on or customization. Which type of platform/framework is used in Asset plus? Asset plus includes the Laravel framework which is an MVC design patterned framework. 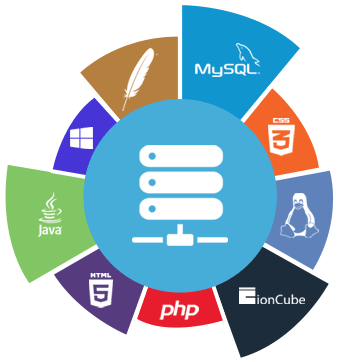 Laravel described in PHP and database used is MySQL. Clients can freely submit their relevant inquiry form, simultanously our business development team will contact them early. Is it possible to upgrade mobile apps later? Yes,it is possible to upgrade mobile apps later. whether your site will help to install the program? Yes,we will take care of installation for you. What are the server requirements we need to run in our script? You can view the details entirely at the link link. BseTec’s Asset plus script is well equipped with the cutting edge hardware resources and technology to benefit the population of users. We appreciate and admire their know how in this industry. It helped me to kick-start my high quality online editing portal, almost immediately. It is highly scalable, user-friendly, robust and easy to customize. Great job BseTec!!! Asset plus script, created by Bsetec helps us handle huge volume of data and transactions, everyday, without any hurdles.